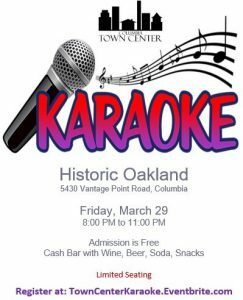 Join us at Historic Oakland for a night of great music provided by…YOU! Registration is appreciated to help us know how may guests to expect. The doors will open at 8pm and a cash bar will be open serving water, soda, beer, wine and snacks.